“Bacon BBQ’ is an all-purpose rub created by “Meat Church BBQ”. 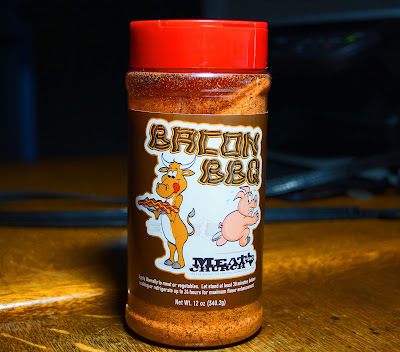 I was informed by “Meat Church BBQ” this rub would change my life. Does my life need changing? Regardless, we purchased ‘Bacon BBQ’ rub and will take it out for a test spin. This should be interesting. Will this rub have any resemblance to bacon? We will try this rub on some chicken and ribs. Let’s start the barbeque. Sugar, salt, spices including paprika, dextrose, dehydrated garlic, natural flavor, no greater than 2% silicone dioxide to prevent caking and spice extractives are the listed ingredients. It strikes me rather odd that there is not even a hint of bacon listed in this list. I am not sure what natural flavor might be but let’s give it a shot. I opened the top and I smelled garlic and paprika. There is a slight smokiness in the background. I took a little taste and immediately got a sweet salty bite. This was expected. I would venture to say it was on the sweet side. Did I taste bacon? Maybe, but I was wishing really hard and that might of effected my perception of the flavor. Okay, it does not taste like bacon. To be fair this is a rub and using this with heat and cooking will change the flavor profile. 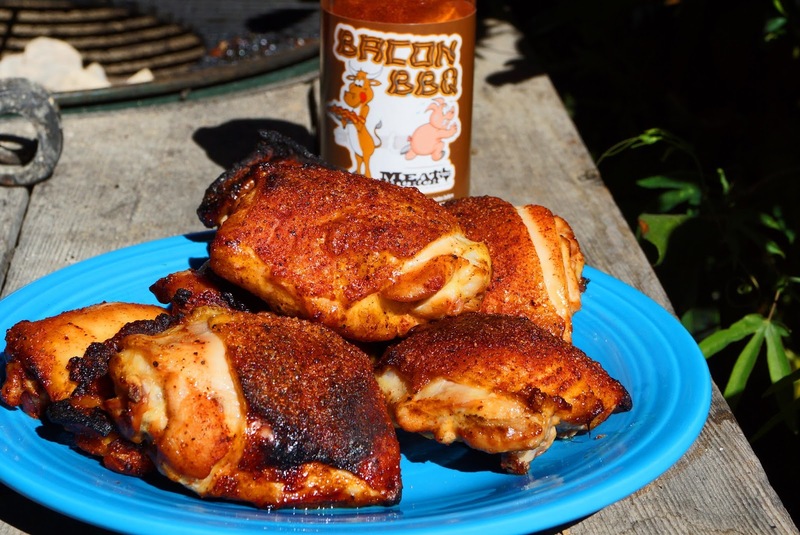 We dusted our chicken thighs liberally with Bacon Rub. We cooked the chicken in a covered kettle bbq with indirect heat. The chicken looked fantastic. The sugars in the rub caramelized and with the paprika the colors of this chicken were fantastic. Ms. Goofy and I both agreed this rub was great. Sugar is the first ingredient listed and this rub is on the sweet side in a good way. The other ingredients were present in the flavor background and complimented the overall taste. Next up were some St. Louis style ribs. Once again a liberal dusting of Bacon Rub was applied. Three hours in a smoker and this masterpiece was revealed. These ribs were competition worthy. They looked and tasted fantastic. Did we get any nuance or hint of bacon? No. 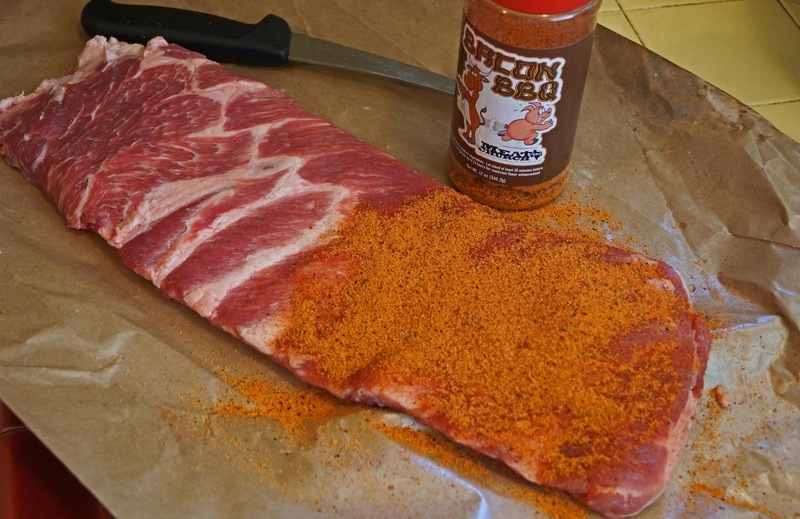 Bacon Rub is a fantastic all-purpose rub. I would recommend it to anyone. We had great results with both of our cooks. Why do they use the term bacon in this rubs name? I know why. They hooked me with my weakness for all things bacon. 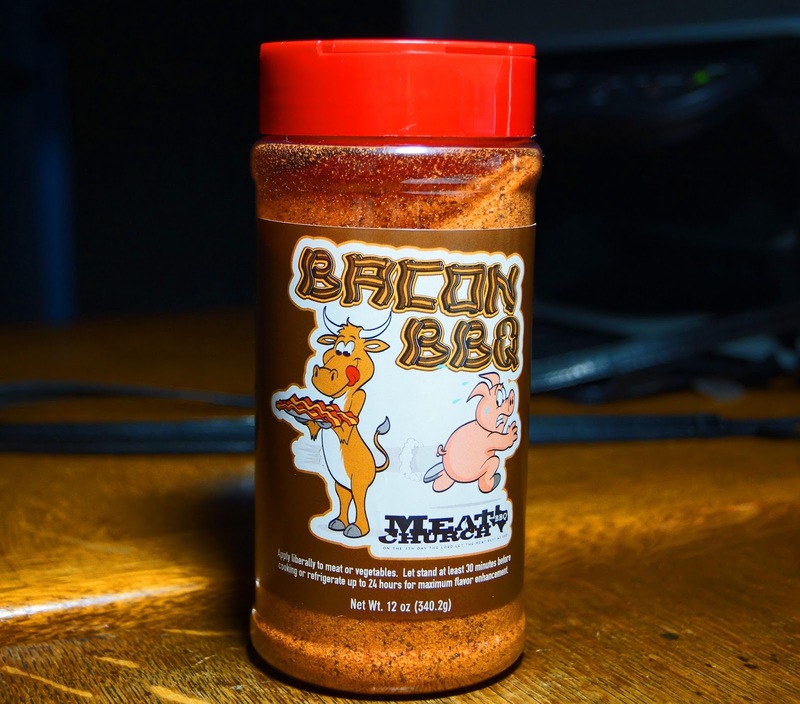 This is misleading but we will forgive Meat Church BBQ because this is a good all-purpose rub. In conclusion, Bacon BBQ rub did not change my life but we had some fantastic meals. I think those are spare ribs, genius. Dear Unknown, Thankyou for your observation 'Unknown'. 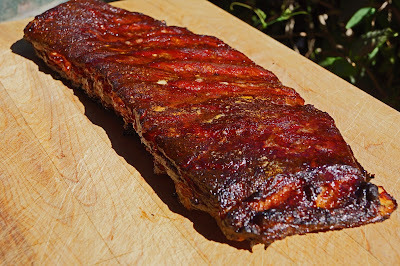 You are correct that they are spareribs. When you remove the sternum bone, cartilage, and rib tips they are considered St. Louis style ribs. Take Care. Well done my friend! Always a gentleman.